Noel Murphy (b.1970) was born in London. Noel studied first at NCAD (National College of Art and Design) in Dublin and then at the University of Ulster in Belfast where he received an honours degree in Fine Art in 1994. HIs prodigious talent was recognised early in his career when he won the Bass Ireland Prize in 1994 and the Ireland Fund of Great Britain Annual Arts Award in 1997. In 2002, he drew international attention when he was commissioned to paint the Northern Ireland Assembly in session. This large scale portrait, completed in 2003, now hangs alongside William Conor’s ‘The State Opening of the first Northern Ireland Parliament in 1921 by His Majesty King George V’ in the Senate Chamber of the Stormont Parliament. He received a further significant commission to produce a portrait Michael Collins for the Glasnevin Cemetery Museum Gallery in 2015. The art historian Amanda Croft has noted that Murphy is a “consummate story teller, mythmaker and visual poet of a painter”. 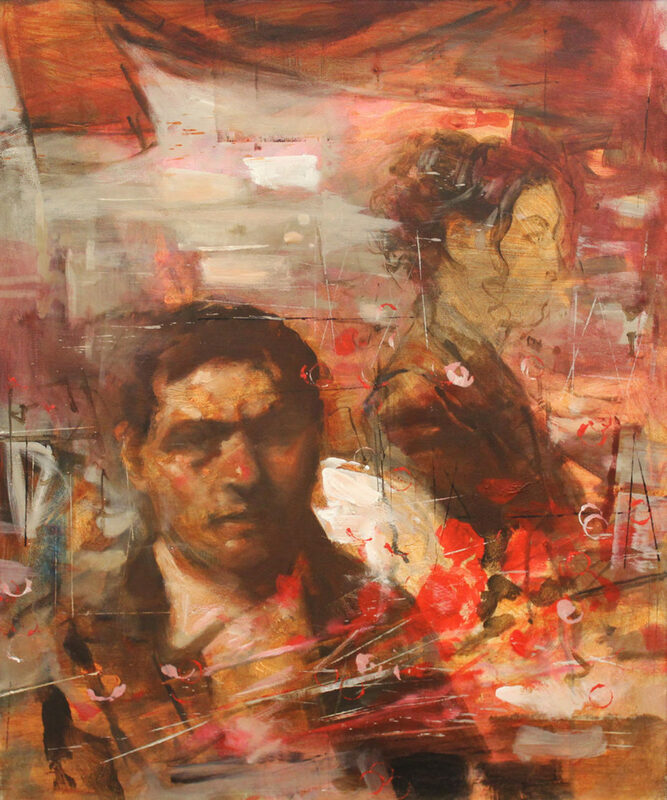 His work is held in many important private and public collections, including: Ulster Museum, Arts Council of Northern Ireland, The Burns Library (Boston College), The National Self-Portrait Collection of Ireland, Bass Ireland Ltd, Kelly’s Collection, Rosslare, Parliament Buildings (Stormont), UTV, Boyle Arts Civic Collection, AIB and Glasnevin Museum, Dublin.